On Sunday afternoon, I had the pleasure of meeting two men who have been walking across Canada with a group called “Crossroads” (previously written about on July 30th). They were visiting my parish in order to speak about their walk from Vancouver to Quebec City in the name of life. They finished their walk last Saturday on Parliament Hill. These journeys go on all around North America; take a look at their website to learn more. To me these men, and woman, are heroes. They possessed the courage, and the will power, to bear all physical and emotional pains of an amazing journey in order to share the pro-life message. All who would have seen them would have noticed their t-shirts which bore the black capitalized words “PRO LIFE.” I am encouraged by their witness and bravery. According to them, a few weeks into their walk they met a man in a church. After he learned about their mission, he decided to drop everything and join them- what courage! They also shared how amazed they were that none of their members were injured or got sick even though they were pushing their bodies to extremes and walking through all varieties of weather. I encourage you all to check out their official blog, as well as one of the walker’s blogs . This entry was posted in activism, events, uOSFL and tagged activism, by Amanda, walk for life on August 21, 2010 by uOttawa Students For Life. I completely agree with what the instructor had to say; it is true that in situations like these we should do our best. I am also happy that those in my class were so concerned about these hypothetical babies. What did get me thinking is: would their points of view change if they knew that this hypothetical mother got into her accident on her way to an abortion clinic? What makes some babies worth worrying for and others not? Is it just that some are wanted versus others that are not? Or that we are not sure that they are wanted? Or that we are afraid to get sued if we save the mom and kill the baby…? My CPR class made me frustrated in this regard because to me in seems so illogical that many can care about saving these hypothetical babies and yet in reality these same people support the “freedom of choice” enabling mothers to terminate their children. This entry was posted in abortion, fetal development, for your information and tagged by Amanda, CPR, fetal rights, first aid, right to life on August 8, 2010 by uOttawa Students For Life. I realize Earth Day was yesterday, but I wanted to remind you that while we’re celebrating the glories of nature on Earth Day, we should also take this time to think of Nature’s greatest gift: life. Respecting the Earth we have been given is definitely important, but why are we putting so much energy into saving the trees when we could be saving babies? This entry was posted in events, news and tagged biology, by Amanda, Earth Day, love on April 23, 2010 by uOttawa Students For Life. I am a rational person. I ask questions, I doubt, and I do not trust something to be true without reasoning through every possibility. So when it comes to the question of abortion I had a lot of questions to answer. In my first year at university I had to take an ethics philosophy course (insert gag here). One of the topics we covered was abortion. Yes the professor did present a pro-life position, but it was a very poor one. To be honest we read and listened to him lecture for hours about how abortion is a women’s choice as it is in her body. That’s right; he did not argue the common “it is her body” but rather admitted that of course it is not her body. The baby is a total other person with its own heart, mind and soul. When we take pro-life training most of the course will be on how to prove that the fetus is in fact a child because if we can do this then the child automatically has the fundamental right to live right? Wrong. Well at least that’s what my professor argued. He wanted us to believe that carrying a pregnancy to term is an act out of the ordinary; mothers should be given daily thanks for their sacrifice and be treated as heroes. Didn’t you know? Pregnancy is not normal. So every week, as I listened to my professor go on and on about how inconvenient childbirth is, I found myself getting progressively more and more upset. Is it fair that this man can brainwash hundreds of first year students with his garbage? Where is the voice for the voiceless? Yes, I did speak up often in class… and he very quickly learned my name and my opinions, but there had to be more that I could do. In my second year I found the Ottawa Students for Life. And I was elated! For one year I was very involved with all of the events and gave my opinions at meetings. I started to find opportunities to speak to others about my views. Or maybe rather, these opportunities were already there before but I did not have the knowledge or confidence to take advantage of them. I hope that I was able to get others to start thinking, and not just believe that abortion is ok because the teachers and government say it is. Currently, I am finishing up my third year, and my first as an official member of the exec. Next year I will be starting my forth, and hopefully will be even more involved with the club. I hope that I can continue to learn, to question, and to find opportunities to share the truth. But what about you? What can you, the reader, do to make a difference? First of all, if you are a student I encourage you to get involved with your pro-life club on campus. If you do not have one… why not start one? For more information and advice on joining clubs on campus feel free to e-mail us at ottawastudentsforlife@gmail.com. For those of you not in school or just finishing up, you can help too! First of all, get educated. The more you know about these issues the more confident you will be to speak about them. And do speak about them. Share the message with your children, friends, neighbors, and acquaintances. You never know who they might be able to pass the message along to. Be supportive and compassionate. If you know someone who is thinking of having an abortion make sure that you remember that they are in a very stressful and sometimes tragic situation. In order to get more information and to know where to send someone experiencing an unexpected pregnancy please go to Birthright Ottawa or First Place Pregnancy Centre. Please also remember that it is important not to judge those who have had abortions and to be loving and compassionate with them. Find out where your Member of Parliament stands on the abortion issue. Send them letters and e-mails asking for their positions. Protest. Here in Ottawa there are many opportunities including the March for Life as well as the 40 Days for Life. And finally, pray. For those of you of faith, your prayers could save a life. You can make a difference. This entry was posted in uOSFL and tagged abortion, by Amanda, elections, uOttawa, women's rights on March 20, 2010 by uOttawa Students For Life. 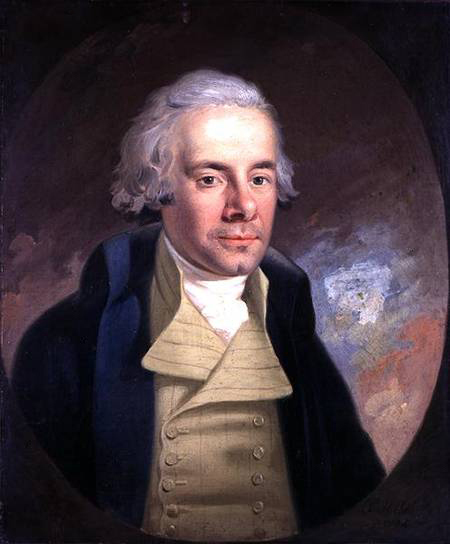 In 1759 the abolitionist William Wilberforce was born. Wilberforce is an amazing example of someone who stood up for what he believed to be right even when all around him disagreed. Today we can remember him as a model of a man who battled for human rights. Just as abortion today, owning slaves was socially correct and a freedom of choice. As a student at the University of Ottawa, I wish to take the example of William Wilberforce and apply it to my own battle against the human rights atrocities of today. I plan to do what I can to spread the truth even when eyes are closed to it. The killing of children has become such a “normal” topic and I fear many do not realize this debate is still alive. My hope is that by speaking up we may convince others of the mass murders going on daily, and let all people know that abortions are not accepted by everyone. I ask you, the reader: are you doing all that you can to be a warrior against abortion? Take courage from the story of William Wilberforce, and the idea that one courageous person, strong in his or her beliefs, can make a difference! This entry was posted in activism and tagged abortion, activism, by Amanda, Wilberforce on January 28, 2010 by uOttawa Students For Life.